It’s that time again to show you what I got from a Lush seasonal collection. This time it’s the Valentine’s range and unlike last year I have been much more organised and got my order in early. I’ve picked quite a few bits up, whilst mentally complaining about the price. Anyway, let’s get into what I got. I got this last year and absolutely loved it. The design is so cute, and on a whole it’s pretty cute. It’s shaped just like a boat, and it has little confetti hearts on the bottom. It contains: Sicilian Lemon Oil, Rose Oil and Organic Sweet Orange Oil. I love the citrus scent, it reminds me of classic Lush, and I love it. What is there to say about this. I mean… yeah. Look at it. It’s yeah. It’s shaped exactly like… the fruit. Yes, I googled it and apparently it’s a fruit. Personally I always thought it was a vegetable, but moving on. This one contains: Fresh Aubergine, Bergamot Oil and Tonka Absolute. It smells a lot better than it sounds. From looking at it, it also looks like there’s glitter running through it, which I love. Continuing on the… fruit theme. Ahem. We have a peach. This is my least favourite scent, it reminds me of medicine which of course is never a good thing. This one contains: Fresh Peach Juice, Grapefruit Oil, Davana Oil and Elemi Oil. 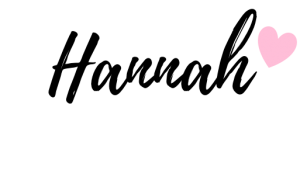 This one is my least favourite out of everything I got. The scent really puts me off, but I guess that’s what I get for buying online. Time for a classic! This one comes around year after year and always seems to do well. I love the colours, but I miss when this had the blue in it and it used to have little stars in it too. It’s still cute, but it has gone through subtle changes over time. This one contains: Lavender Oil, Neroli Oil and Ylang Ylang Oil. I like the scent of this one, it smells fresh and something that should be put in the bath. If you know what I mean. I don’t know what I was thinking when I made this order, but I should have gone for the smaller size. 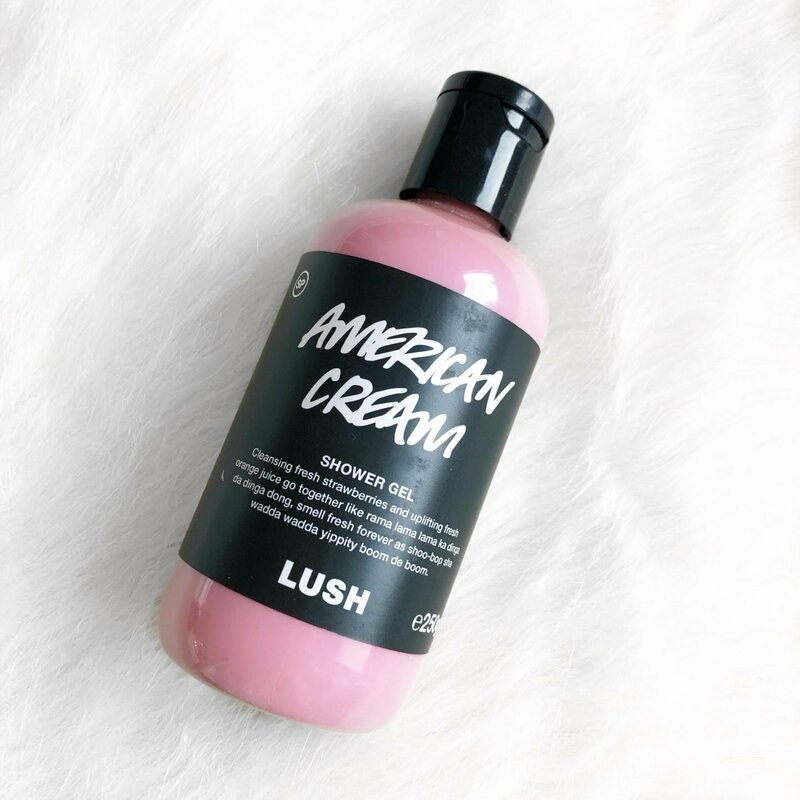 Not because I don’t like the scent, in fact American Cream is one of my favourite scents. It’s just the price. I paid £11.95 for this. That’s £12 for 250g! After looking on Superdrug, I can get an Imperial Leather 250g shower gel for 98p. Okay, it’s currently in the sale and it was originally £1.99, but still! This one contains: Fresh Strawberry Juice, Fresh Orange Juice Vanilla Absolute and Clary Sage Oil. It smells really great, but that price has tainted it. You know I’m dramatic. That is everything I got from the Valentines range this year! I’m sorry to have ended it on such a bad note, but that price. Whew. I can’t, it’s a lot for 250ml of shower gel. Do you like the Valentines range this year? I love these, I think they are just so funny! Oh man, I can totally relate with the shock at their prices. I barely buy anything from Lush anymore because I just can’t justify spending that money on a bath bomb/shower gel no matter how nice it is! It’s such a shame as I really do love their products and ethics. 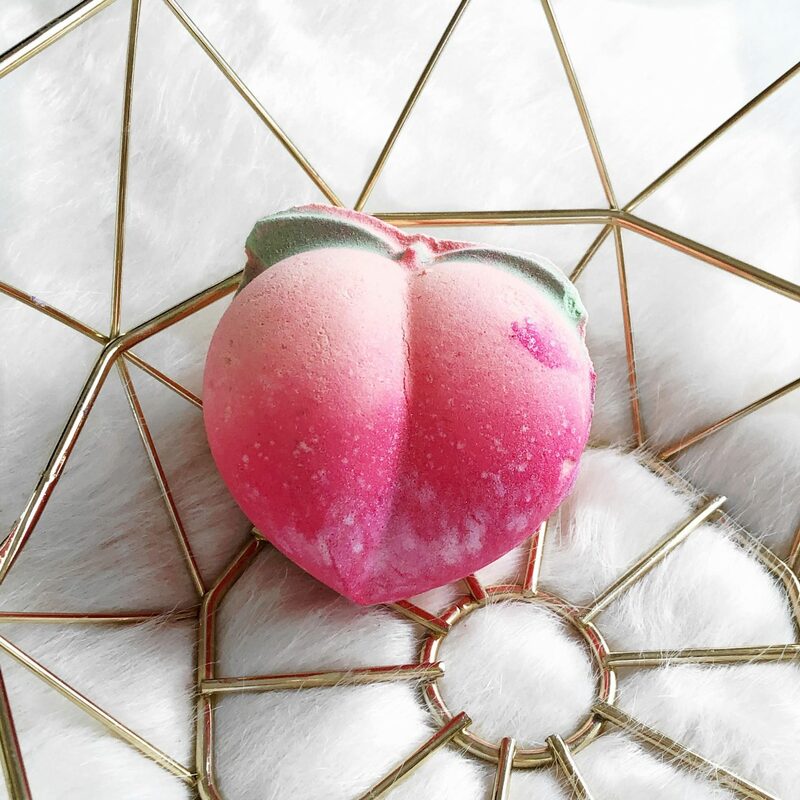 I do really want to try the peach bomb though, peach is one of my favourite scents! It’s such a shame that you don’t like it! I thought I was the only one who’d noticed how much Lush products have gone up! It’s such a shame because they’re such a good brand and I love their ethics and morals. I do buy the odd one or two things from there but not very often, I usually just treat myself when it’s the Christmas collection or a new seasonal/holiday collection that I like e.g. this years Valentine’s Day collection. Honestly, it’s bloody brilliant and whoever came up with the idea, deserves a raise! LOVEEE these! Need to grab some before v-day for sure!! I love the Aubergine bath bomb – creates such a pretty bath. Really tempted to try the love boat too. Lush absolutely kills the holiday bath game! Unicorn Horn is something that I buy in bulk so that I have year round! This aubergine one is absolutely hysterical! I need to hurry and place an order! All look so nice. I would love to try the shower cream. Omg, I need all of these in my life! Ha!! Gurlll I understand the mental conversation with the prices. Honestly I love bath bombs, but I haven’t been to Lush for awhile due to their prices. Lol!! I will stick to my good smelling liquid soaps. (covers face!) Having said that, these are lovely though. I haven’t bought anything from Lush in literally years but I think this range is really reasonably priced. I’ve seen the colours the aubergine produces and they’re incredible! I love lush stuff so much, I need to go down there and stock up again as I’ve just used my last bath bomb! 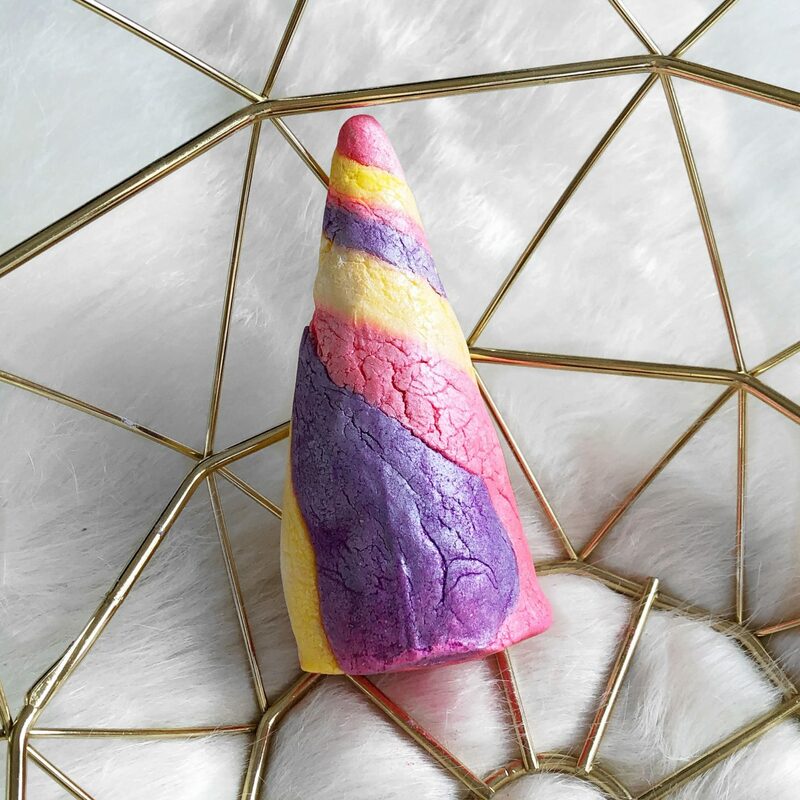 The unicorn horn bubble bar is such a classic, I’ve had this so many times and loved it. Really want to try that love boat sounds amazing! I feel like everyone has been talking about this! The valentines collection is just so pretty! These are so cute! Good to know which ones smell the best and least. I’m getting a tub installed in my new place and am looking forward to throwing a bath bomb or two in there and see what happens! Have to pop in to Lush and have a nose around for these! 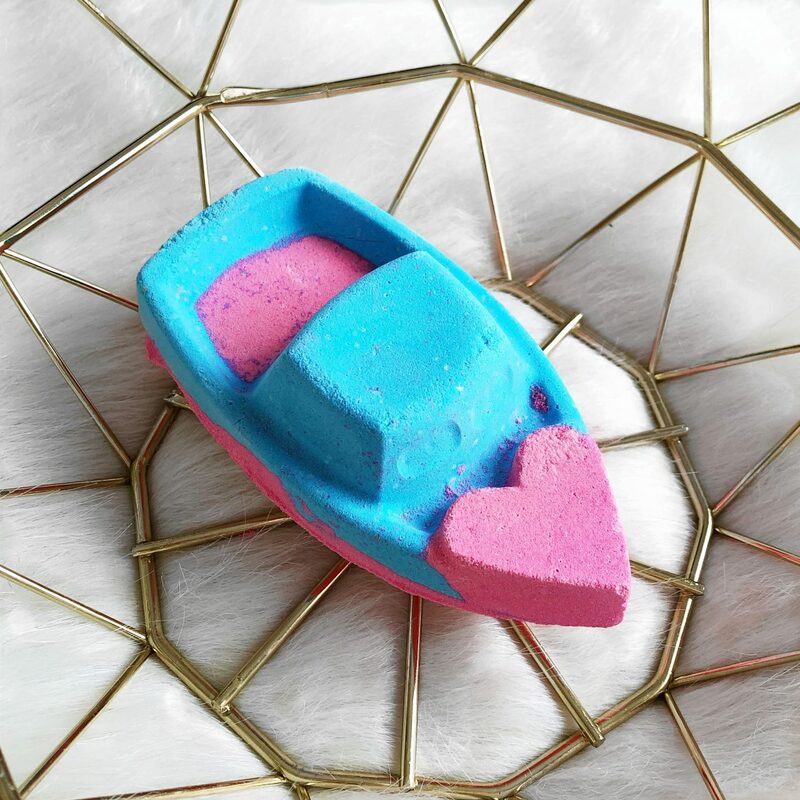 Lush’s Valentine’s products look lovely! The Unicorn Horn and Love Boat sound like they smell amazing. And that is a lot of money for a body wash. I love Lush’s products but the price is always what stops me from buying them. But I may have to treat myself. 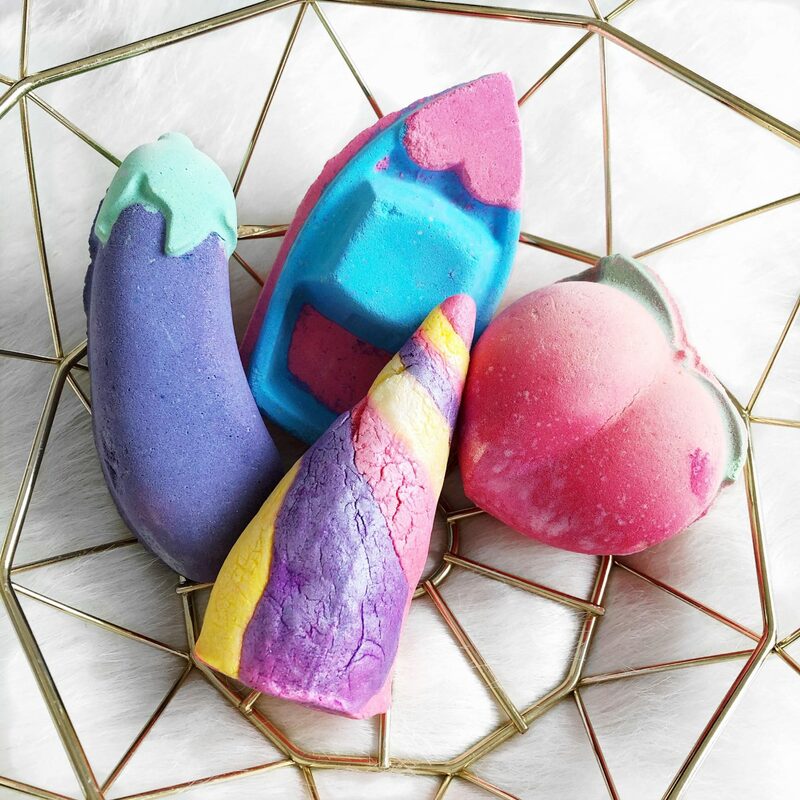 Oooh these lush items are art!! Love this brand so much!